In my eternal searches about skincare, i noticed i needed a tonic with acid. Not mattering which is your skin type, tonics with acid are interesting products because they remove the dead skin cells refining skin and making easier the absorption of any product you apply posteriorly. 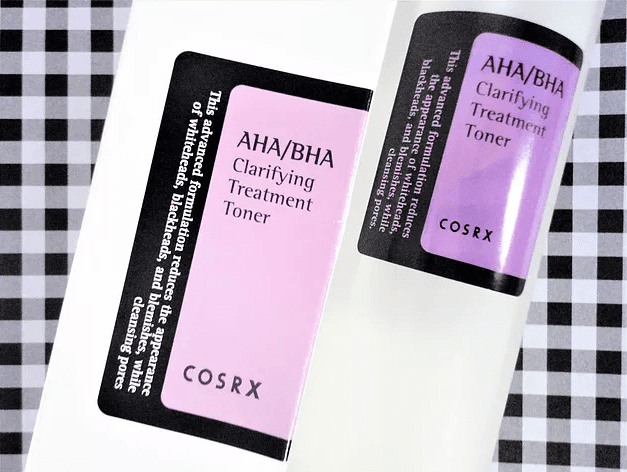 So i searched and decided to try the AHA/BHA Toner from Cosrx, a famous korean brand I was excited to know! What does the brand tell? 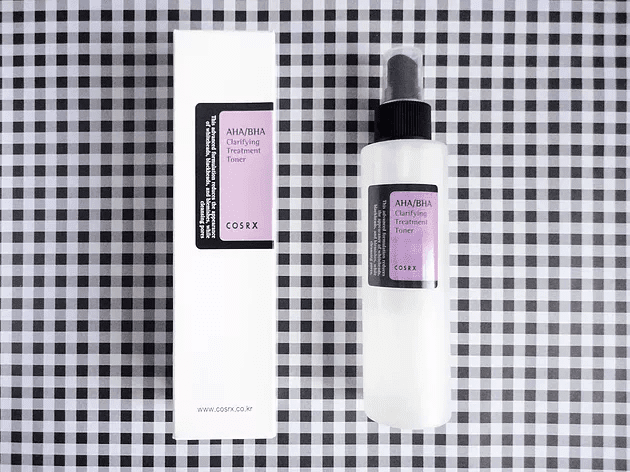 "AHA/BHA Clarifying Treatment Toner is an effective toner for your flaky skin caused by lack of moisture and occuring dead skin cell, helping with early prevention of whiteheads and blackheads. Conteined in AHA/BHA Clarifying Treatment Toner are mineral water (as opposed to purified water) for your skin health, natural AHA, natural BHA to clean away dead skin cell. Additionally, valid substances like allantoin provide moisture and nutrition for moist and smooth skin." But what are AHA and BHA? Both are acids, AHA means Alfa-Hydroxy acid and BHA means Beta-Hydroxy acid. Each one solves particular skin troubles and there are toners which contain AHA and BHA separately. In my case, both are useful for me so i decided to buy this one. 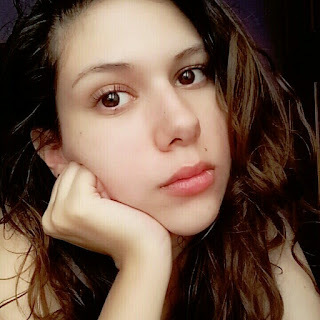 In this post i will focus on product review but for more details you can check this amazing post explaining all about these acids on Paula's Choise. Use it daily after wash your face every morning or evening. Wet a cotton pad with toner and blot the skin along the skin texture insideout as if gently massaging. In first uses or if your skin is sensitive, apply it using hands. Now a personal note: add sunscreen to you skincare rotine if you are using any product that contains acid. The toner seems like water and has a soft smell. The package is super resistant, easy to use, simple and with a spray. Bottle has a pretty matte texture. There are instructions in english on the box. In the first days I apllied toner using hands but as my skin didn't get irritated, I started to apply it using cotton pad and results improved cause in the first case it's like just depositing product on skin and in second case, the rubbing using cotton pad helps to clean away dead skin cells. Reapply toner to keep cotton humid. Soon in the first uses you feel the difference: the skin becomes thinner (in a positive way, bye-bye dead skin cells layer), soft, smooth and moisturized on right level. Besides that, it actually decreased the amount of blackheads and acne and helped to heal faster the existing ones. Nose gets smooth, an outbreak of pimples has stopped and blemishes are getting less visible. I think all face has brightened. I bought it at this seller on Ebay here for US $11.99 + shipping (the value depends on your country). I think it will last about 2 months so I think it's a good price. Loved it! It works as a light peeling which can be done everyday and for me there was no irritation. Quite the opposite, it brought me several benefits. If you liked it, leave a comment, follow the blog and social networks!